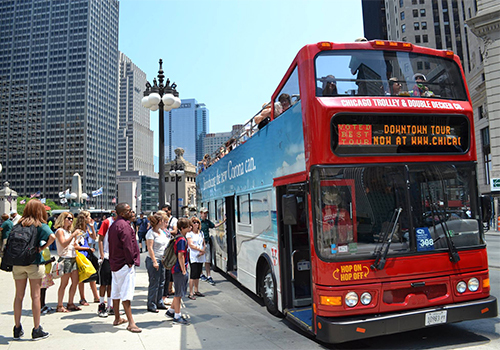 Featured in bustling Chicago, Illinois, The Red & Green Trolleys and Big Red Double Decker Buses let guests hop on and off to visit a variety of top area attractions. 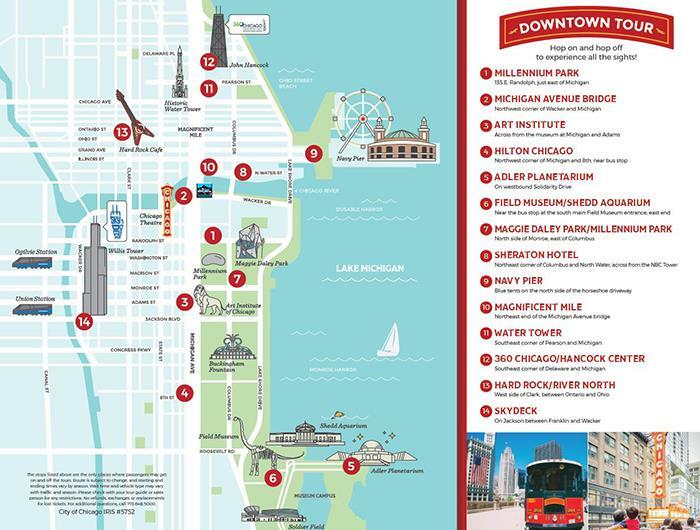 The two-hour tour covers 13 miles of Chicago’s downtown area and the Loop, covering an assortment of shops, restaurants, museums, stores and more. Using the All Tours Ticket, guests can explore at their leisure for up to 48 hours. Tours begin daily at 9:00 am with the last loop beginning at 5:00 pm. Tours available year-round with the exception of Thanksgiving, Christmas Eve, and Christmas Day. The tour includes 12 “hop on, hop off” trolley stops. Rising from the shores of Lake Michigan, Chicago is a cultural, architectural, and historic showcase. Welcome to your urban adventure! With 7,000 restaurants and 77 neighborhoods, Chicago offers innumerable choices. Your tour ticket gives you rides, guides and the chance to make this city your own. Called an architect's playground, Chicago is now your playground. Ride The Red & Green Trolleys® and our Double Decker Buses. 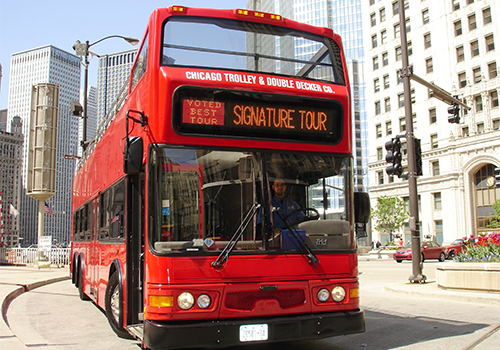 Your Hop On Hop Off Tour ticket gives you transportation to the most famous Chicago attractions. You will enjoy our two hour Downtown Tour, covering 13 magnificent miles of Chicago's downtown and the Loop. We encourage you to take your time and hop on and hop off all day! The Downtown Hop-On, Hop-Off Tour runs all year long, seven days a week except for inclement weather days, Thanksgiving Day, Christmas Eve and Christmas Day. Our vehicles run approximately 15-20 minutes apart so you can hop back on with your ticket all day. All ticketed passengers receive a FREE Garrett Popcorn sample and much, much more! It's said that all roads lead to Chicago. Our staff and your CHICAGO GUIDE will help you have the most fun with the greatest ease. With diverse backgrounds, our tour guides and drivers have one thing in common -- a passion for Chicago. While you tour everything from underground streets to internationally-acclaimed skyscrapers, we're excited to share our knowledge. This is your ticket to Chicago. Enjoy the ride! 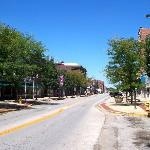 Downtown Tour: Operates daily beginning at 9:00 am. 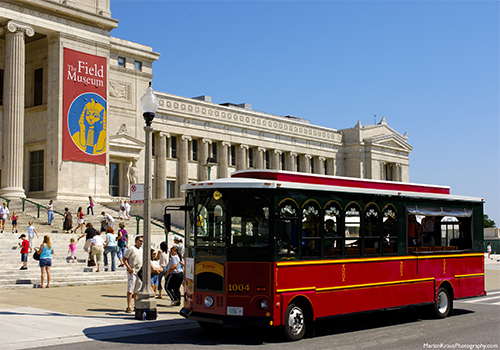 You can Hop on and off until 5:00 pm with the last full tour beginning at 5:00 pm. Operates Year Round (excludes inclement weather days, Thanksgiving Day, Christmas Eve, Christmas Day). E-Tickets can be presented at boarding locations beginning at 9:00 am. Route subject to change. No boarding or exiting from Chicago Trolleys and Double Deckers except at the designated stops. PASSENGERS WITH DISABILITIES: It is required that you contact CHICAGO TROLLEY at least 48 hours prior to the date of travel at the number listed on your E-Ticket. 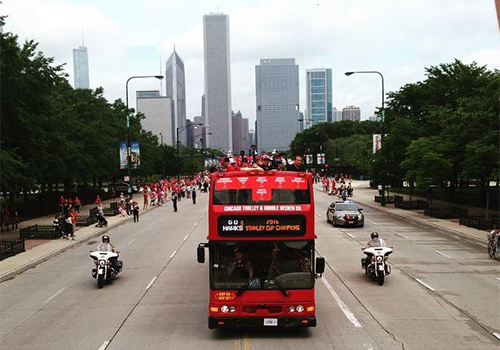 Have you been to Chicago Trolley & Double Decker Tours? Share your knowledge and be the first to review this. The double decker is the best way to go. The upper deck weather permitting has 360 degree views and the guide is well versed in the sights and venues along the way. I bought a 3 day pass online, and used it every day to get to the big attractions. My hotel on Michigan Ave. was just 2 blocks from one of the stops. All the drivers were friendly and funny. A couple of times I was the only rider for a while - fine with me, I don't like crowded buses (or trolleys.) Different drivers also tell different stories - some give you history, some point out the good restaurants, others spin hilarious yarns. Yes, you'll wait a bit at a stop for the next trolley to come by (I was there in March) but I just used that time to plan, look through photos, or just appreciate where I was. Did the holiday lights tour - don’t bother! Drops you at the Christkindl market (free entry for all) which is an easy 10-15 minute walk from the pickup point on Michigan Avenue. Then takes you to another free activity at Lincoln park zoo. While the guides are knowledgeable and provide some interesting commentary, the drives are very short, and there is no way the holiday lights tour is worth $32/person for what is essentially a return shuttle bus ride in a fancy looking (though uncomfortable) bus . Save money, walk to the market and catch an Uber to the zoo instead. Nice tour the best part was Sheamus our driver and guide. It was super busy Saturday night and he was great. Beautiful city. What does hop on hop off mean? 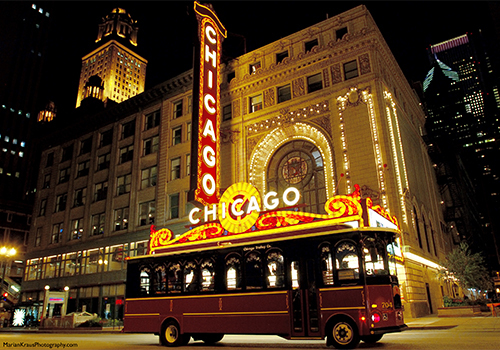 Our Hop On Hop Off Tour ticket gives you transportation to the most famous Chicago attractions. You can get on or off the trolley at any one of the trolley stop locations. You will enjoy our two hour Downtown Tour, covering 13 magnificent miles of Chicago's downtown and the Loop. What operating hours does the trolley run? Our Downtown Tour begins daily at 9 a.m. with last day tours starting at 5 p.m. Excluding Thanksgiving Day, Christmas Eve, Christmas Day. Where do we board the trolley? You can board a trolley at any one of the 12 trolley stop locations. Where are the stops located at? How often do the trolleys run? Tours usually leave approximately every 10-15 minutes daily between 9:00 am & 5:00 pm. Occasionally there can be delays caused by traffic or weather. Do tours operate in inclement weather? We still operate our open-top buses on cold or rainy days. With Chicago’s unpredictable weather, we’re unable to offer refunds due to weather, however, we’ll try to make these days comfortable for you.